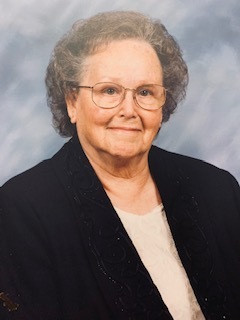 Mrs. Dillon E. Maxwell, 91 of Covington, passed away on the evening of January 27, 2019. Mrs. Maxwell, the widow of Mr. Estes Owen Maxwell, is survived by her daughter, Karen Davis of Bartlett; her sons, Charles (Annette) Maxwell of Covington and David (Debbie Spray) Maxwell of Memphis; several grandchildren and great-grandchildren. Mrs. Maxwell was preceded in death by her children, Rita Schwartz, Jimmy Maxwell, Tim Maxwell, and Harriett Yancey; and by her grandchildren, Trey Crowder and Zach Maxwell; and by her son-in-law, Jack Davis; and by her two brothers, Marshall and Welton Bringle. There will be a memorial service for Mrs. Maxwell on Saturday, February 2nd, at 2PM at the Maley-Yarbrough Chapel. Visitation will be held from 12-2 prior to the service beginning. The family has requested that memorials be sent to the American Cancer Society.